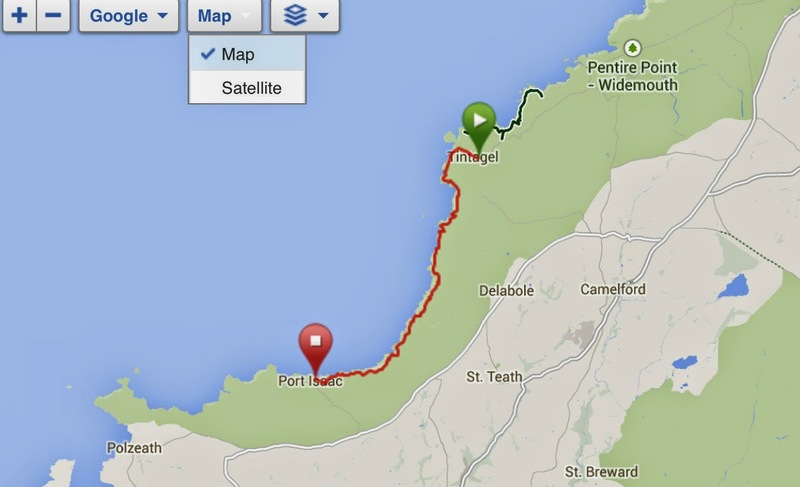 Tintagel to Port Isaac- a real challenge! 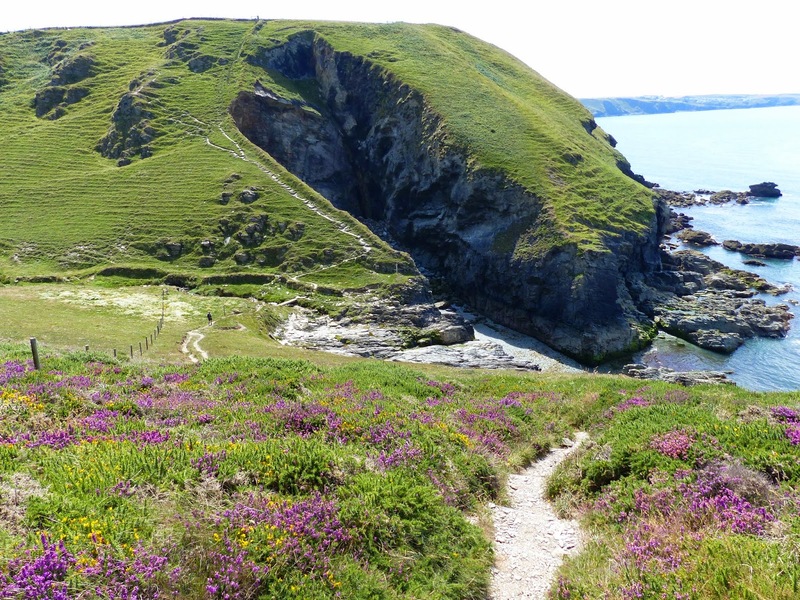 The 23 mile stretch of the North Cornwall coastal path between Boscastle and the Camel Estuary provides some of Cornwall's most dramatic and beautiful coastal scenery. 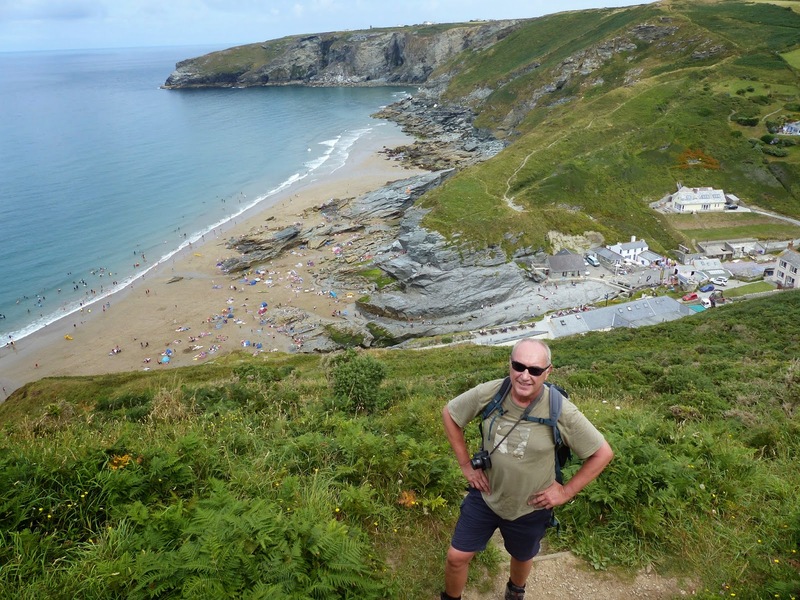 It is also very demanding, particularly the 9 miles between Tintagel and Port Isaac, said to be the most gruelling section of the whole 630 mile South West Way. 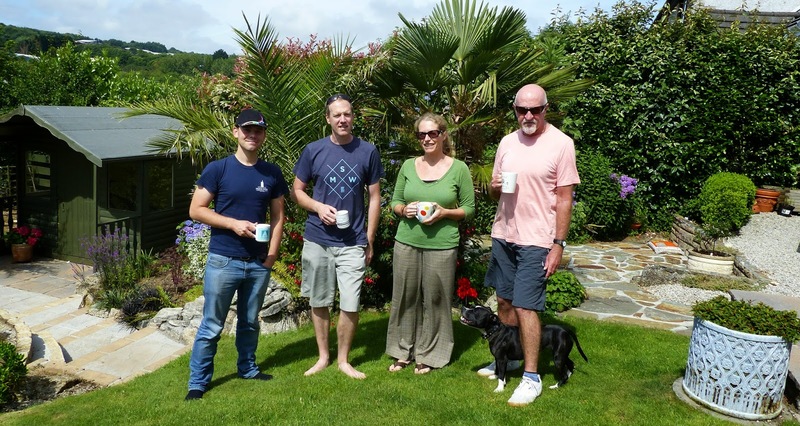 Elsevier's Dean Eastbury, publishing manager for Minerals Engineering, IJMP and Hydrometallurgy, and others, is holidaying in Cornwall this week. He is a keen and regular hiker, who has accompanied me, Jon and Amanda on many hard hikes in Cape Town, notably Table Mountain via Jan Smuts' track and Chapman's Peak. Yesterday we set out to assess the degree of difficulty of this walk, which appears in all the guide books with a health warning and a grading of "exceptionally strenuous". 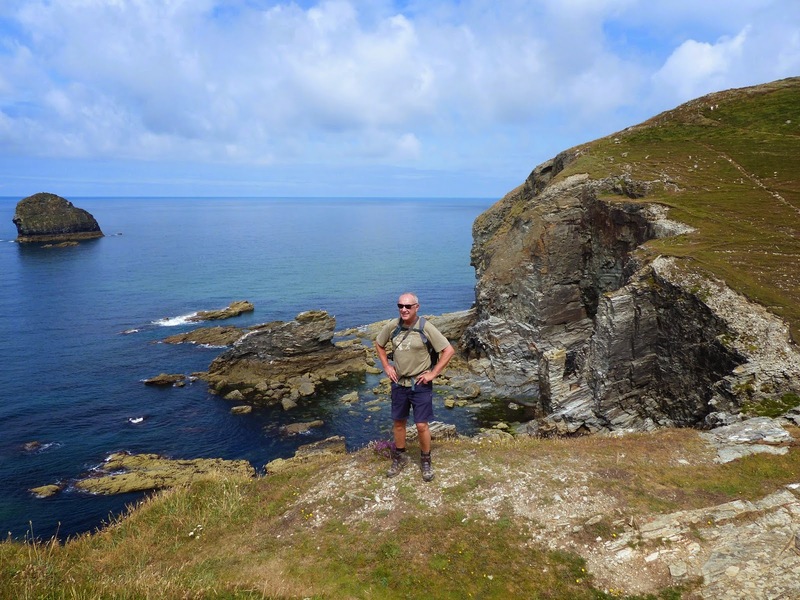 We set off from the centre of Tintagel (see also Boscastle to Tintagel 2nd September 2012) and the first couple of miles, down to Trebarwith Strand, was fairly easy going. However from the beach we encountered an almost vertical climb to the top of the cliff, followed by an immediate descent, the first of many stiff ascents and descents en route to distant Port Isaac. 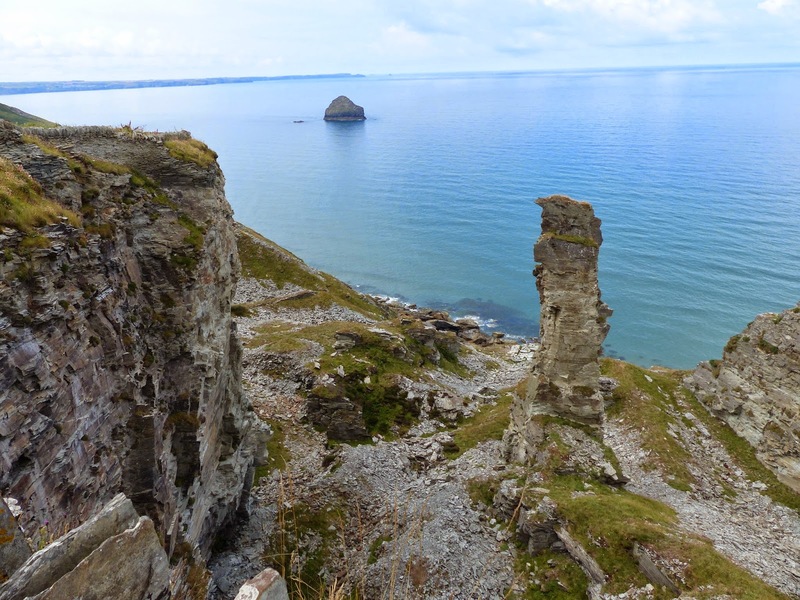 This is real slate country, close to the famous Delabole Quarries, and all along the coast there is evidence of old quarrying activities, most notably the rock pinnacle shown below, which was deliberately left by the quarrymen as being of inferior quality. The loose scree formed by the eroded slate made the steep descents slow and hazardous and thighs were already screaming when we started the unrelenting ascents. 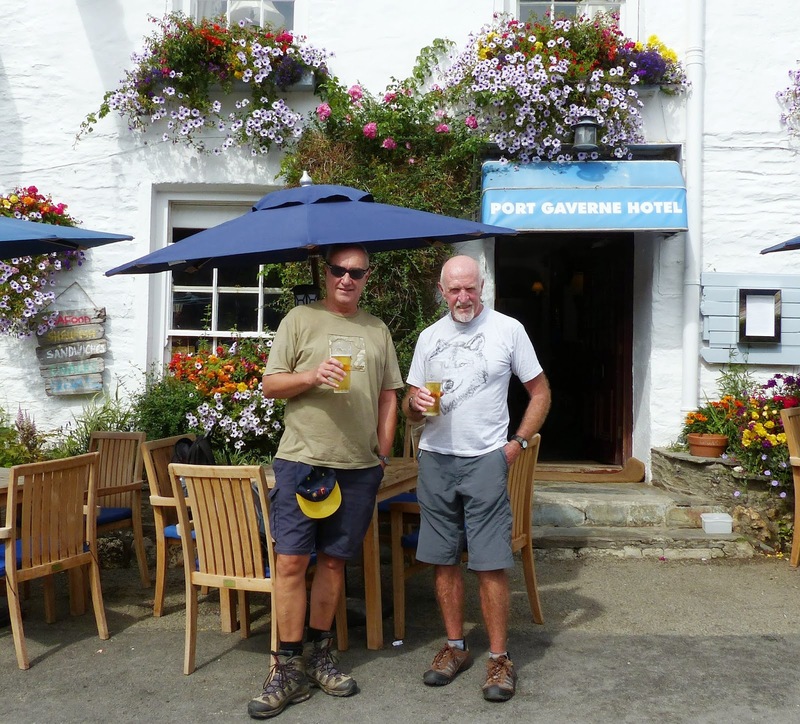 After 4 and a half hours we stopped for refreshments in the pub at tiny picturesque Port Gaverne, before the final short walk into Port Isaac, more famous as the fictional Portwenn of Doc Martin fame (see also Around Port Isaac 21 August 2011). The contour map for our hike says it all. We had experienced an elevation gain of 2285 ft, very similar to the MEI Conferences walk with delegates up Table Mountain via Platteklip Gorge (see postings of 23 November 2013 and 11 April 2014), but this was a much harder hike, due to the elevation loss of 2511 ft, which I personally found more demanding than the gain. I consider this to be the hardest walk that I have ever undertaken, and would seriously not recommend it to anyone who is not a strong hiker. I will be sticking to the 'gentle' gradients along the south Cornwall coast over the next few days! Last month's Biohydromet '14 ended with an excellent panel discussion on the future of biohydrometallurgy, chaired by MEI Consultants Patrick D'Hugues of BRGM France and Sue Harrison of University of Cape Town, with panellists Pieter Van Aswegen of PMet Consulting, South Africa, Paul Norris of University of Exeter, UK, and Jim Brierley of Brierley Consultancy, USA. This one hour session covered many important aspects of the future role of biohydrometallurgy, some of which are highlighted below. Pieter van Aswegen began by highlighting some of the challenges for biooxidation and some of the aspects which could make it a very serious competitor to pressure oxidation, which is the preferred technique in North America for the treatment of refractory gold ores. Solids content has always been one of the major limitations for biooxidation, and in the past if more than 2000 tpd of concentrate were treated, pressure oxidation was the most economic method. Initially 10% solids was used, but in 1989 Fairview gold mine in South Africa increased to 20% solids, making biooxidation a viable alternative. Today the largest plant is in Uzbekistan with 1000m3 tanks treating 2000 tpd of concentrates, and developments in new agitators and impellers have allowed the start up of recent plants in Tanzania using 40% solids for high gas dispersion applied in cyanide destruction operations. A major constraint on solids content is the bacteria, and how robust they are at 30% solids and above. He felt that very little work has been done on this, but it is important to aim for 20-30% solids, as this reduces capital costs due to smaller tanks and lower retention times. Lower retention times can be achieved by using thermophiles, but these are not as robust as mesophiles, which limits solids content to around 15% in most cases. Pieter's message to researchers was therefore not to be conservative, and to make real efforts to aim for 20-30% solids. Rob Hille remarked that the University of Cape Town team has been working on this for the past 2 years with Biomin, using mesophilic and thermophilic bacteria at 31% solids. Pieter also highlighted another challenge for biooxidation of gold ores, the reduction of cyanide consumption, which is much higher than with pressure oxidation, due to the generation of elemental sulphur which consumes cyanide. Typically 10-40 kg/t of cyanide is consumed in biooxidation, compared with around 2 kg/t in pressure oxidation. Some work is being done using thermophiles in the final tanks to oxidise the elemental sulphur in order to reduce overall cyanide consumption. Barrie Johnson of Bangor University pointed out that the high cyanide consumption in biooxidation could restrict the implementation of this technology in some countries, as cyanide usage is banned, and a major target for bio and hydrometallurgists should be to continue to look for alternatives to cyanide, as if this could be removed from the circuit biooxidation would have more widespread use. Paul Norris spoke on behalf of the academics, and made the important point, discussed previously on the blog, that researchers should be aware of the wealth of past work which is out there. Biomet conferences have been held in various parts of the world for about 38 years now, and there have been hundreds of papers published, so there is always a danger of reinventing and recycling material which has been effectively hidden in the early literature. He stressed that academics should continue to search for more useful microorganisms, as there are areas in which those currently available are inadequate for industrial use, solids tolerance in stirred tanks, discussed by Pieter, being a notable area, particularly at high temperature. It is important that workers in the wide range of countries represented at Biohydromet '14 look at relevant natural and mining sites in their countries. It is not difficult to find new microorganisms and then to screen them to assess their effectiveness. Looking further ahead, Jim Brierley felt that future mines might utilise some form of a process similar to the hydrofracturing technology developed by petroleum engineers to release shale gas, thus opening up a buried resource. Benefits could include reducing the footprint of mining and development of new technologies for extraction of critical earth resources. Could this be the future for the minerals industry? It would need a new mind-set, and how would we manage it to make it work? Biohydrometallurgists would play an important role in advancing new technologies, but obviously not working alone in developing such in situ technology- it would need the involvement of metallurgists, geologists, rock engineers and others. To prepare for this we should be researching how microorganisms behave under high hydrostatic pressures, anaerobic and other conditions yet to be defined. This would be a complex technology only applicable for use with highly specific amenable ore bodies and would need to meet all economic, environmental, safety and societal concerns. Biohydrometallurgy is a rapidly evolving field, and we look forward to seeing how things have progressed, both technologically and socially, at Biohydrometallurgy '16. But in the meantime I invite comment- what do you feel about the role of biotechnology in future mining operations? A good crowd this evening at the Chain Locker, despite the late afternoon showers which drove us indoors, despite the heat. 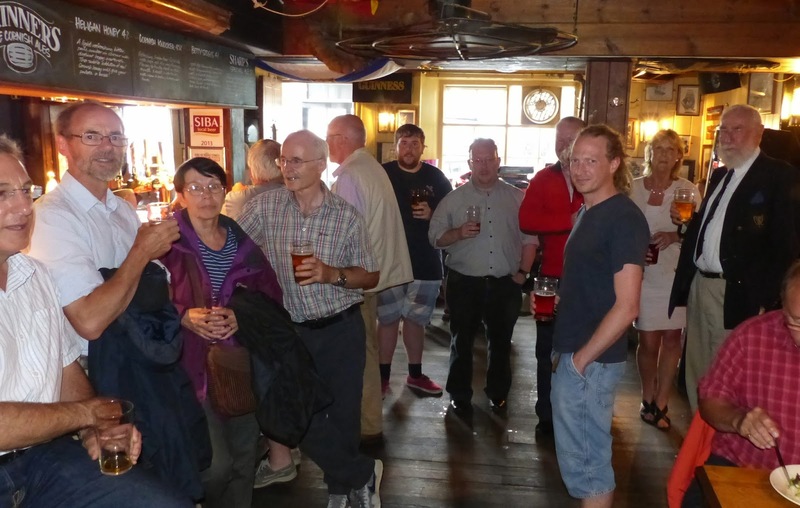 The next Sundowner will be Thursday August 21st, and as always, there is an open invitation to anyone who is in the Falmouth area at that time. Abstracts are now invited for two of MEI's small specialised conferences, which will run back to back in May next year. As with all MEI Conferences, papers accepted for presentation will be published in a Proceedings flash drive, available at the conference, and then authors will be invited to submit edited papers to Elsevier Science after the event for peer-review and publication in a special issue of Minerals Engineering. Both conferences are certified for Continuous Professional Development. May is a great time to be in Cornwall, so plan ahead and aim to spend some time exploring this beautiful area of the world. Precious Metals '15 will deal with all aspects of the processing of gold and PGM ores, such as flotation, bio and hydrometallurgy and the associated environmental issues. Prof. Jacques Eksteen of Curtin University, Australia, will present the keynote lecture "Innovations in the processing of difficult and low grade gold ores". The keynote lecture "The future of nickel production - the outlook for nickel sulphide and laterite resource development" will be given by Dr. Andrew Mitchell, Principal Nickel Analyst with Wood Mackenzie, UK. If you would like to present a paper at either of these meetings, please submit your short abstract by the end of November of this year. If your company is interested in exposure via sponsorship, details for Precious Metals '15 can be found here, and here for Nickel Processing '15. While sorting out some old 8mm home movies, I came across a short clip of the Nchanga mine and concentrator, taken in 1970. Although nowhere need HD quality, it may be of interest to anyone who worked on the mine during that era, and I have now transferred this to YouTube. It shows ore being transported from the huge Nchanga open pit (now no longer in operation) to the massive primary gyratory crusher (still in operation), and then rod and ball mill grinding at the East Mill. At the West Mill, ore is seen arriving from underground, and the old flotation banks, dewatering and concentrate shipment can also be seen. Things have moved on a lot in the intervening decades, as I saw during my return to Nchanga two years ago. 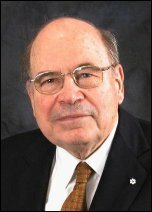 Sad to read on MEI Online of the death of one of Canada's great metallurgists, Gerald Hatch, founder of the engineering firm Hatch Limited, which has grown from six people in 1958 to over 11,000 employees in 65 offices worldwide. If you knew Gerald, we invite you to add comments to this post to record your appreciations and memories. I thank Sadegh Safarzadeh, Associate Editor of Hydrometallurgy, and Assistant Professor at South Dakota School of Mines and Technology, USA for supplying a review of this new text book. 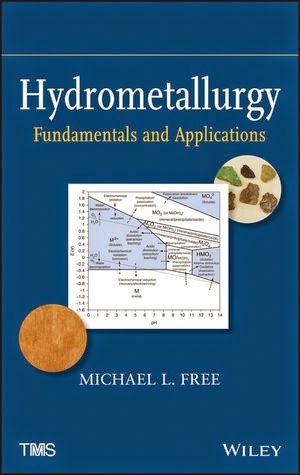 Authored by Professor Michael L. Free, Hydrometallurgy: Fundamentals and Applications provides an in-depth understanding of the fundamentals of hydrometallurgical science and engineering. The book consists of 12 chapters including Introduction, Chemical Fundamentals of Hydrometallurgy, Speciation and Phase Diagrams, Rate Processes, Metal Extraction, Separation of Dissolved Metals, Metal Recovery Processes, Metal Utilization Environmental Issues, Process Design Principles, General Engineering Economics, General Engineering Statistics, and several useful appendices, including laboratory calculations. The book has been prepared in 432 pages and published in 2013 by John Wiley and Sons, New Jersey. This textbook is arguably the first of its kind, in the sense that it compiles the fundamentals, applications, reference information and analytical tools on the topic of Hydrometallurgy. The lack of an inclusive textbook for hydrometallurgy has been felt over the past years. While many of the books published so far are invaluable sources for hydrometallurgy, there was no single book that covered all of the aspects in hydrometallurgy from science to engineering. At the same time, these books appeared to be excellent on some topics, but weak on the other topics. In his book, Professor Free has given equal importance to each of the fundamental topics in hydrometallurgy. Among the important topics that are often weakly written in many related books, if not neglected, are the biochemical and electrochemical reaction kinetics, flowsheet development, and environmental hydrometallurgy. These topics are all covered in this textbook. At the end of each chapter, there is a set of problems that are directly related to the contents of the preceding chapter(s). This book is suitable for both undergraduate and graduate students in the field of mineral processing and extractive metallurgy. Also, it is recommended for mineral processing engineers who work in industry. Professor Michael Free is with the department of Metallurgical Engineering at the University of Utah. He is a well-known hydrometallurgist, with significant contributions to electrometallurgy, engineering pedogogy, and web-based teaching. We invite further comments on this volume. Dr. Klaas van der Wielen, of Selfrag, Switzerland, called in at MEI this morning. He is in Cornwall for his stag celebrations, prior to his wedding next month in The Netherlands. We last saw him in Cape Town in April, where he presented an interesting paper at Comminution '14 on electro- fragmentation of particles, a technology which has consistently been demonstrated at batch scale but which has yet to be proven on a commercial basis for large scale continuous processing. There are exciting times ahead, however. Work is progressing on the pilot plant to prove the viability of the technology and there are many potential projects in the pipeline, including copper-gold ores, iron ores, as well as comminution of incinerator slags and silicon ingots. A full description of the technology can be found on MEI Online and we look forward to updates at Comminution '16. In conversation with T.C. Rao- "the father of Indian mineral processing"
It was great to catch up with my old friend Prof. T.C. Rao at the IMPC in New Delhi in 2012. He presented a keynote lecture, and in introducing him, the chairman described him as "the father of Indian mineral processing", which few people will dispute. He has published around 225 research papers in International and National journals and his pioneering works on modelling of unit operations in coal and mineral processing are still being extensively used by academic institutions and industries all over the world for process simulation and optimisation. He is the recipient of many awards/citations from various professional bodies and is a Fellow of many prestigious societies. In its early days he was Regional Editor of Minerals Engineering and he is, or has been, a member of the editorial boards of the International Journal of Mineral Processing, the International Journal of Coal Preparation, the Transactions of the Mining, Geological & Metallurgical Institute of India and of the Indian Institute of Metals. He is a Council Member of the Indian Institute of Metals and the Mining, Geological and Metallurgical Institute of India. He was a past President and presently a Patron Member of the Indian Institute of Mineral Engineering and was honoured as a Fellow of the Indian National Academy of Engineers in Coal and Mineral Processing Specialization. 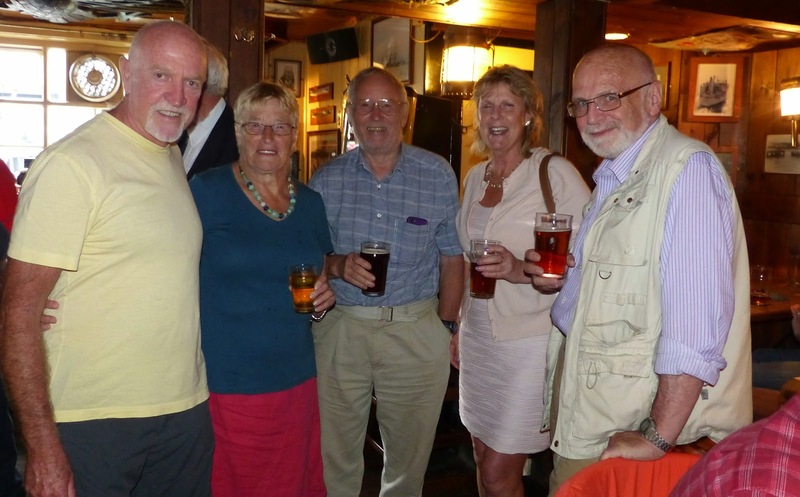 The IMPC was our first meeting in 21 years, since his attendance at Reagents '91 in Cornwall. It was good, therefore, to phone him at his home in Hyderabad and talk to him about his early formative years in Australia, and his views on modern mineral processing. Tadimety Chakrapani (TC) Rao was born in September, 1940, and he received a B.Sc. (Hons.) in Geology from Andhra University, Waltair, India in 1959, and an M.Sc. in Ore Dressing from the same university in 1960. He then felt that Australia was the place to be to progress his career, and was offered a research post at the University of Queensland (UQ), supervised by the late Prof. F.T.M. White, Head of Mining at UQ, who also recruited Alban Lynch to the department to start up an experimental mine and mineral processing at the University. Later with a donation from Mount Isa Mines, this became the Julius Krutschnitt Mineral Research Centre (JKMRC), with Alban as its first Director. 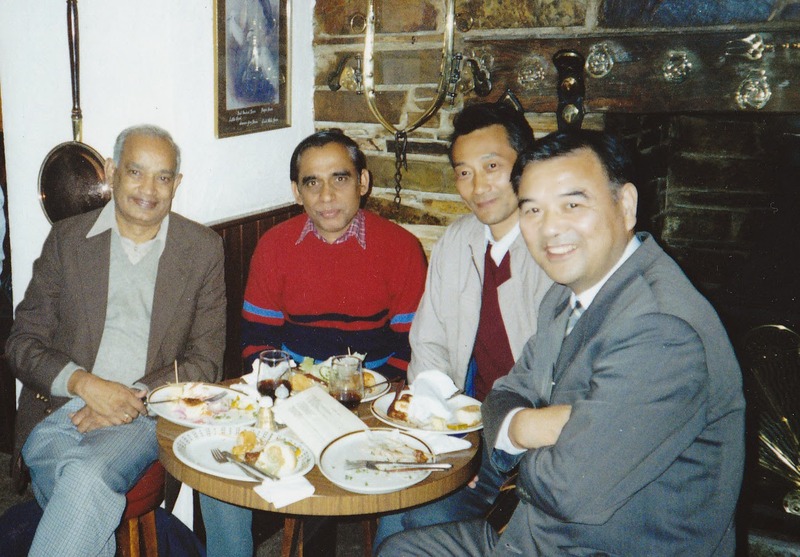 When Prof. White left UQ for Canada, TC was supervised by Prof. Lynch; TC helped with the teaching of mineral processing in the fledgling department, together with the late Rex Bull, who was senior lecturer at that time. In those early days he was inspired by Antoine Gaudin's 1939 Textbook of Mineral Dressing, and A.F. Taggart's 1945 Handbook of Mineral Dressing, as they "explained the theory of mineral processing in a simple way". He obtained his Ph.D degree, under the guidance of Prof. Alban Lynch in 1965, working on the characteristics of hydrocyclones. He obviously regards Alban Lynch with great affection and respect, describing him as "an exceptional man, who treated me like a family member, and helped me develop my latent talents". They published their work on hydrocyclones in a number of seminal papers, and the models are still valid today, being used in many hydrocyclone manufacturers' performance curves. He attributes their ongoing validity to their simplicity, involving parameters which can be easily measured, such as vortex finder diameter, spigot diameter, and can therefore be confidently accepted by operators. He feels that this is the failing of many modern modelling techniques, which, due to their complexity, often inhibit their use industrially. He made a point that particles in a closed grinding circuit are moving in a fluid medium, but many of the models are based on screening size analysis, so there is a need for methods of characterise particles according to hydraulic size, putting particles into 'behavioural' ranges, as is done with 'sub-sieve' particles in devices such as the Warman Cyclosizer. 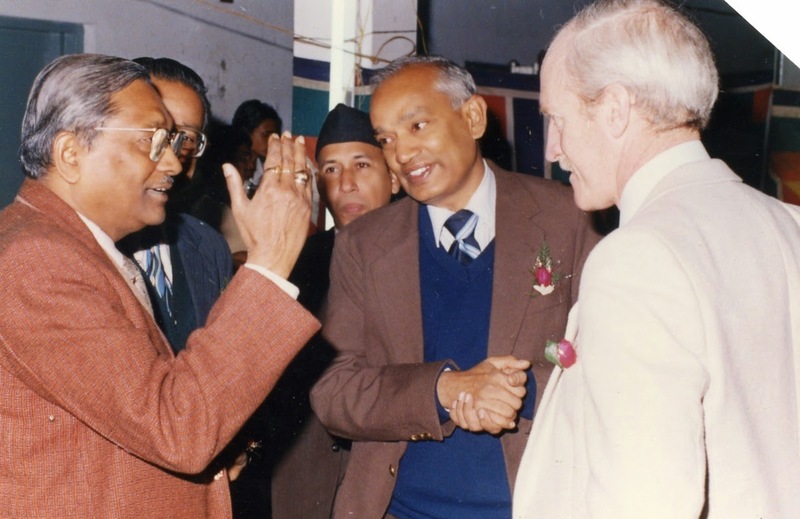 TC stayed in Australia for eight years, working for a time at Broken Hill mine, before finally returning to India to take up a position as a Faculty member of the Indian Institute of Technology, Kanpur for a further eight years, before accepting the position of Professor and Head of Mineral Engineering at the Indian School of Mines (ISM), Dhanbad in 1977. He established a new four-year graduate programme (B.Tech) in Mineral Engineering, the only of its kind in India and was also Dean of Academic & Research at ISM. He invited many visiting lecturers from overseas to interact with staff and students and teach courses. I was one of them and it was in Dhanbad in 1989 where I first met TC. At the IMPC in New Delhi it was reported that only 2% of the world's minerals engineering graduates came from India, compared with 50% from China. TC feels that youngsters are not coming into minerals engineering "because we are not exciting them" and that academics, who seem to spend most of their time striving to publish papers, should have some industrial experience, to pass on the importance of "seeing the whole picture" to their students. Minerals engineers are” custodians of a finite natural resource” and each corporate office should put a certain amount of money aside as part of their budget for teachers to spend 2-3 months with their students on a mine site". I agreed, mentioning that in the 1970s this did happen, and in 1978 I spent 6 weeks in South Africa supervising student vacation projects, and learned a lot in doing so which I could pass on to future students (see also the posting of 30 August 2010). In 1989, Prof. Rao took over as Director of the Regional Research Laboratory, Bhopal (now Advanced Materials and Processes Research Institute AMPRI), the only CSIR laboratory in the state of Madhya Pradesh. Though the laboratory was on the verge of closure at that stage, it emerged as one of the best performing CSIR laboratories under his Leadership and achieved many laurels for its outstanding contributions. 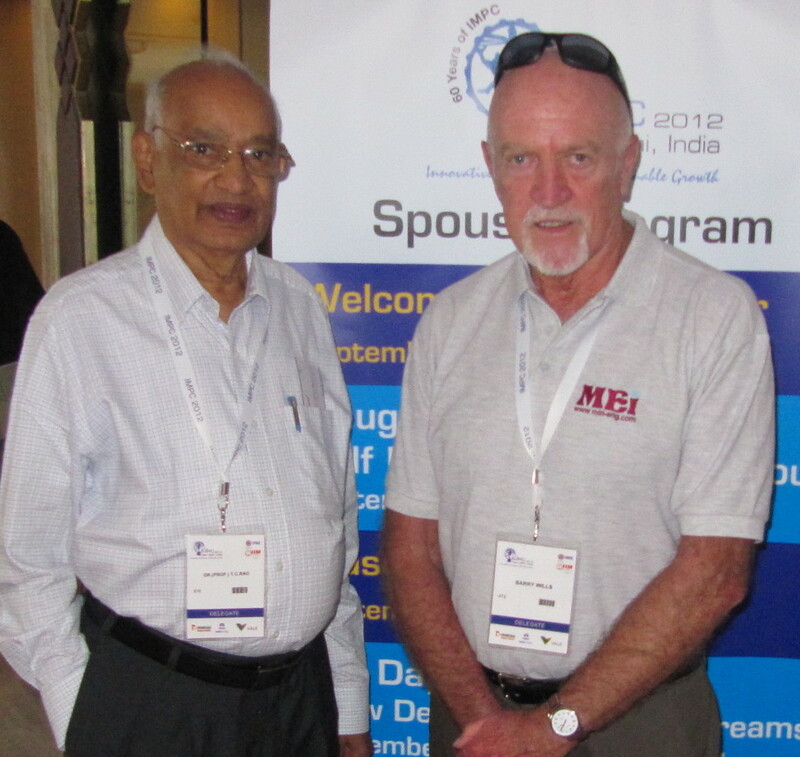 He formally retired in 2000, but is still actively involved with many industries and R&D Organisations as an advisor. It was really good to talk to him, and I hope to catch up with him again in the not too distant future- maybe at this year's IMPC in Chile? In closing last month's SRCR '14 conference, Outotec's Markus Reuter stressed that minerals are at the centre of sustainability. The aim of the Sustainable Minerals (formerly SRCR) series of conferences has been to transfer the rich source of mineral processing knowledge accumulated over the years to a wider community dealing with waste processing and utilisation, recycling etc. 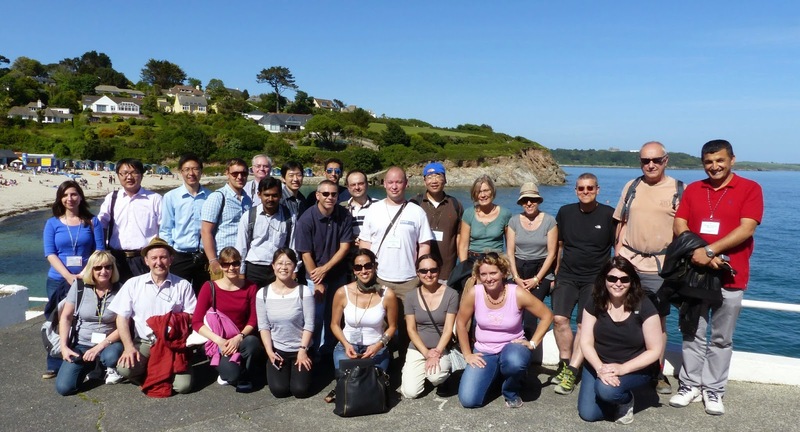 We would now like to invite scientists of all related disciplines to join us in Falmouth in June 2016 for Sustainable Minerals '16, which will immediately follow Biohydromet '16 at the same venue, the St. Michael's Hotel. There will be discounted rates for those attending both conferences. As with all MEI Conferences, the papers presented at the meeting will form the basis of a special peer-reviewed issue of Minerals Engineering. Regular updates on the progress of the conference will be published on the conference website and on Twitter (#SustainableMinerals16 @barrywills). You should plan ahead and try to spend a few days in Cornwall after the conference. There is much to see and do in this beautiful part of the world, as can be seen in the Cornwall section of the blog. MEI's consultant to Sustainable Minerals '16 will, as always, be Prof. Markus Reuter of Outotec, Finland, who is also Adjunct Professor at Aalto University, Finland, Professorial Fellow at the University of Melbourne and a Guest Professor at the Central South University, China. 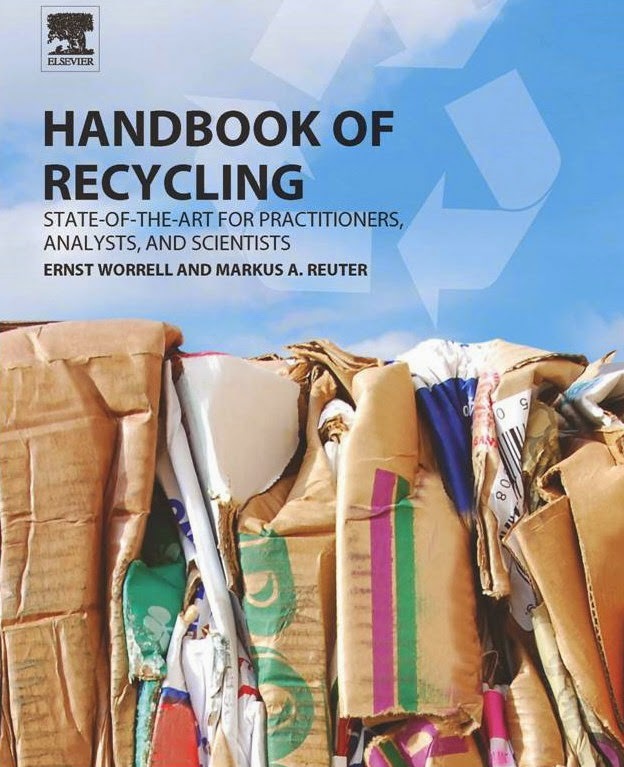 He is co-author of the very recently published Handbook of Recycling, which discusses the multifaceted field of metal and materials recycling, reuse and reclamation in one compact volume, uniquely synthesizing industrial application alongside policy and economic implications. There is little doubt that biohydrometallurgy will play an increasingly important role in future mineral processing operations. Recognising this, we have appointed one of the world's foremost practitioners to the Editorial Board of Minerals Engineering. 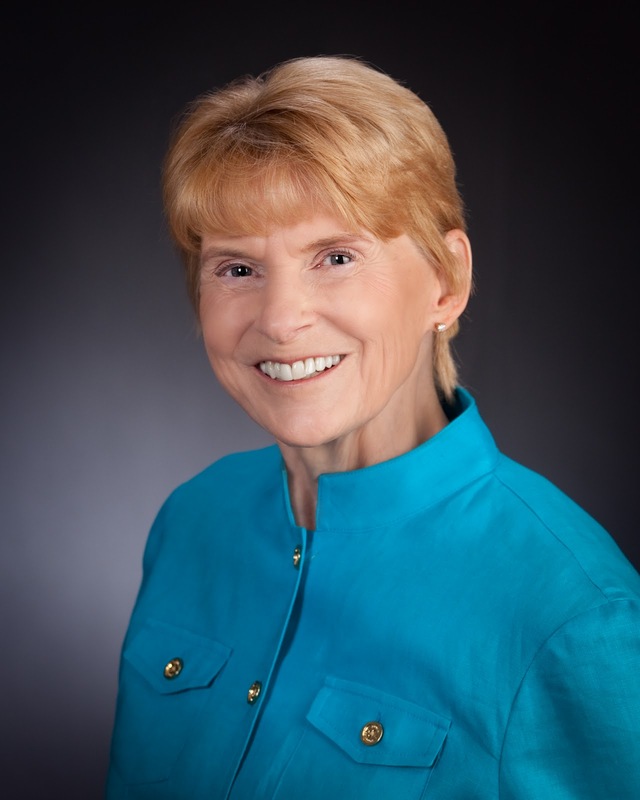 Dr. Corale Brierley, who presented a keynote lecture at Biohydrometallurgy '14, is one half, with husband Jim, of Brierley Consultancy LLC, USA, which provides consultation to the mining and chemical industries and government agencies. In an internationally recognized career of over 30 years, Corale has spent 20 years as an international consultant; two years with Newmont Mining Corporation as Head of Environmental Process Development; eight years of managing Advanced Minerals Technology Inc., a metal's biotechnology company; and 10 years of applied research and development at New Mexico Institute of Mining and Technology. She was inducted in 1999 into the U.S. National Academy of Engineering for "innovations applying biotechnology to mine production and remediation". Dr. Brierley is the 2008 recipient of AIME’s James Douglas Gold Medal Award, which recognizes distinguished achievement in nonferrous metallurgy, and at the 2011 SME Meeting, was the recipient of the Milton E. Wadsworth Award, which recognizes distinguished contributions that advance our understanding of the science and technology of non-ferrous chemical metallurgy. In December 2014 Corale and Jim Brierley will be inducted into the American Mining Hall of Fame (Medal of Merit award for transformative contributions to the mining industry). We are very proud to have Corale involved with the future progress of Minerals Engineering. 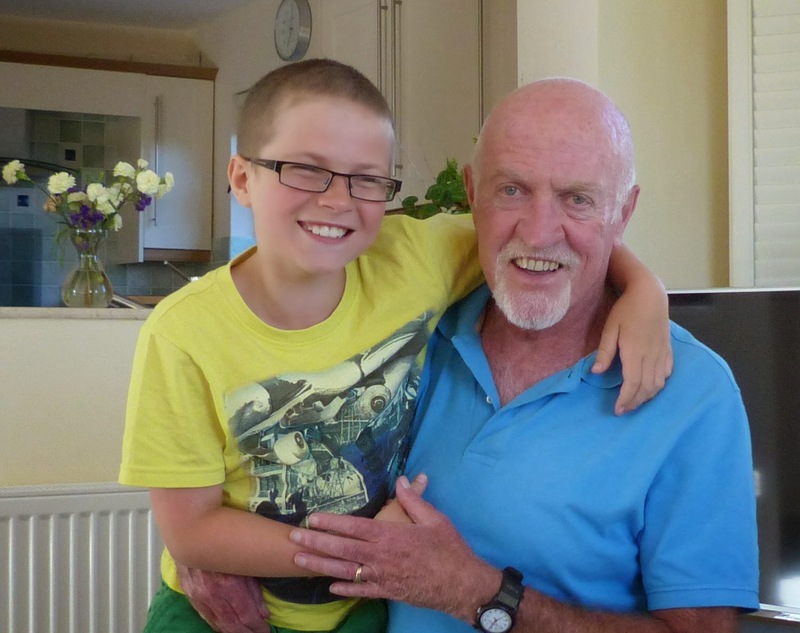 William and his grandpa, Barry, have just shaved their flowing locks for a very good cause. No great hardship for William "at least mine will grow back". 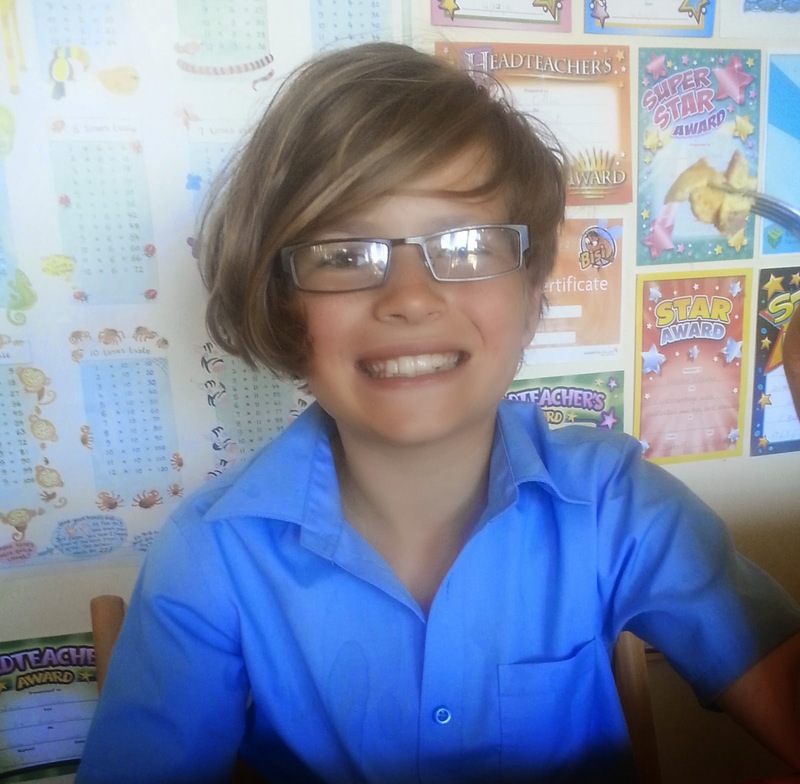 We are trying to achieve William's target of £500 towards the excellent Macmillan Cancer Support, in memory of William's Granddad David. If you would like to donate to this worthy cause, you can do so on our sponsorship page. During the late 1970s I was marginally involved with work carried out at the Camborne School of Mines (CSM) pilot plant into the feasibility of opening up the historic Hemerdon tungsten mine, situated on the edge of Dartmoor National Park near Plymouth. The work was undertaken by international mining company AMAX, under the supervision of Dr. Simon Meik and Dr. Gillian Hall. Simon, who I last met 4 years ago at Precious Metals '10, is now with Dundee Precious Metals, Bulgaria, and Gillian is with FLSmidth in Cornwall. During this period at Camborne, a shy young man named Charlie Northfield was just commencing a honours degree course in Mineral Processing Technology. He graduated in 1980 and then commenced a very colourful career, which included, apart from working in tungsten mines in Thailand and Zimbabwe, imprisonment in Gambia under 'trumped up charges' and a daring escape into Senegal across a swollen river (MEI Online 2008). 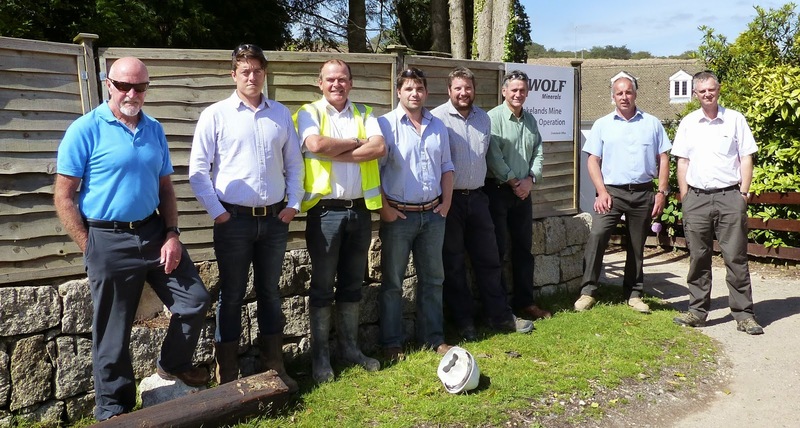 Now Charlie is Process Plant Manager at Hemerdon (now known as Drakelands Mine), owned by Australian company Wolf Minerals. The mine is scheduled to open in September next year, 32 years after the end of the AMAX study, and 71 years after the mine's last closure at the end of World War 2. The collapse of the tungsten and tin prices in the mid-80s meant that the mine never made it into production despite the favourable feasibility study. Now the time, and prices, are right and this will be Britain's first new metal mine for more than 40 years, exploiting the world's fourth-largest deposit of tungsten, and projected to be the world's largest producer of tungsten concentrate at about 3,450 tonnes of WO3 per year, amounting to 3-4 % of global tungsten production, compared with the 80% produced by China, which has dictated supply to the rest of the world. Drakelands will provide security of supply for tungsten and valuable export revenue for the UK. The mine contains 23.5Mt of proven reserves grading 0.15% W as wolframite and 0.03% Sn as cassiterite. Saleable tungsten concentrate, grading 62-65% WO3 will be produced, as well as around 460 tonnes of tin concentrate per year, containing 40-60% Sn. As this region of Dartmoor has been mined for well over 100 years and the local community is here because of that, the overwhelming reaction from the local community has been supportive, as this will bring around 200 much needed jobs, ranging from geologists, engineers and mining surveyors to truck drivers, to the area. Yesterday I travelled the 75 miles from Falmouth to meet up with Charlie, and to see how things are progressing, and I was surprised and pleased to find so many CSM graduates involved with the operation. The site is a hive of activity, the foundations are in place, and the equipment is on site ready for installation. It will be an interesting flowsheet, commencing with primary and secondary crushing in Sandvik hybrid toothed roll crushers, and tertiary cone crushing. Gravity concentration is the main method of beneficiation, by dense medium cyclones after crushing, and spirals and Holman-Wilfley shaking tables (MEI Online) for the finer fractions. Grinding is by ball mills in closed circuit with Derrick screens rather than hydrocyclones, to minimise overgrinding of the heavy minerals. The flowsheet also includes flotation, in Outotec cells, to remove arsenopyrite and other sulphides from the gravity concentrates, high temperature reduction of hematite to magnetite, which will then be removed by low intensity magnetic separators, and high intensity magnetic separation to separate the final wolframite from cassiterite. The magnetic separators have been supplied by Eriez Europe. I look forward to returning in a couple of years time when the mine will be in full operation, but in the meantime Charlie is hoping to present an overview of the operation at Physical Separation '15 next June in Falmouth. The recent Biohydromet '14 was a superb conference with a fairly small but very distinguished audience from academia, research institutions and industry, with a wide range of different disciplines. Prof Sue Harrison, of University of Cape Town (UCT), summarised the conference, which covered innovative technologies and the challenges for existing processes, including important trends, such as expanding the range of minerals treated by biohydrometallurgy. The biotreatment of tailings and WEEE is also becoming more important, as are remediation and water issues. One of the great challenges is transferring scientific developments from academia into industry, concerns which have been expressed at other recent MEI Conferences. She also felt that in future conferences we must address not only technological, but also social issues. 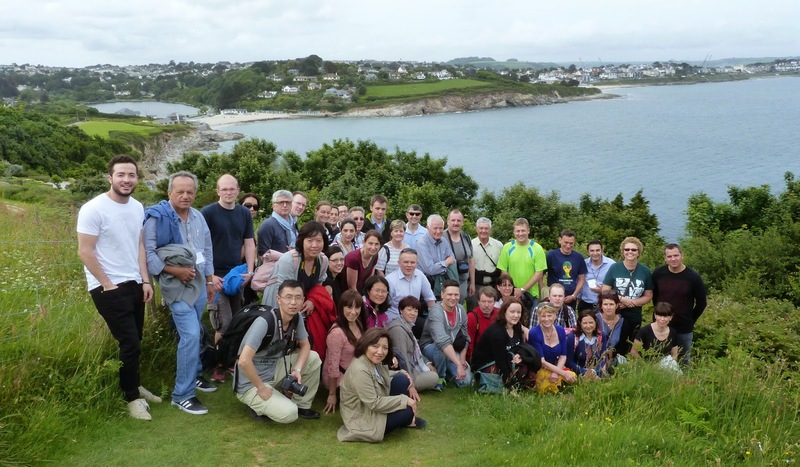 So there is much to look forward to in this rapidly evolving field, and we are pleased to announce that Biohydromet '16 will be held in Falmouth in June 2016. 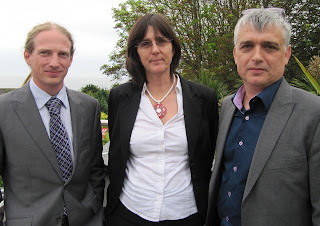 Once more MEI will be assisted by our three consultants, Prof. Sue Harrison, of UCT, South Africa, Dr. Chris Bryan, of University of Exeter, UK, and Dr. Patrick D'Hugues, of BRGM, France. Immediately following Biohydromet '16 will be Sustainable Minerals '16, and as there is some common ground between the two conferences, we will be offering discounted rates to those attending both conferences. Cornwall is one of the world's most beautiful areas, so plan ahead to spend a few days here after the conferences. There is much to see and do, as can be seen in the Cornwall section of the blog. Regular updates on the progress of the conference will be published on the conference website and on Twitter (#Biohydromet16 @barrywills). It is not surprising that in the list of Minerals Engineering's most recently downloaded articles on ScienceDirect, papers on rare earth separation are in the top five. Rare earth elements (REE) have unique physicochemical properties that make them essential elements in many high-tech components. They are widely used for traditional sectors including metallurgy, petroleum, textiles, and agriculture but they are also becoming uniquely indispensable and critical in many other applications, such as hybrid cars, wind turbines, and compact fluorescent lights, flat screen televisions, mobile phones, disc drives, and defence technologies. Different rare earths are needed to supply the required functionality in these applications. In some cases, a single rare earth element may be required, such as La for nickel-metal hydride batteries, but other applications require a mixture of rare earths, for example Nd and Pr for rare earth magnets (see also posting of 11th February 2013) and Eu (or Tb) and Y for rare earth phosphors. Bastnesite (La, Ce)FCO3, monazite, (Ce, La, Y, Th)PO4, and xenotime, YPO4, are the main commercial sources of rare earths. Increased demand for the different products manufactured from REE has resulted in a constriction of supply from China, which currently produces 97% of the world’s rare earths, via export quotas. Many new rare earth deposits are currently being developed to help meet the demand void created by the Chinese export quotas, however most of these developing deposits include rare earth minerals for which there is limited processing knowledge. A paper from McGill University Canada (see also posting of 1st February 2013) examines the separation techniques, usually flotation, gravity or magnetic, that are currently employed for rare earth mineral beneficiation and identifies areas in need of further research. Rare earth mineral concentrates are leached with aqueous inorganic acids, such as HCl, H2SO4, or HNO3. After filtration or counter current decantation (CCD), solvent extraction is usually used to separate individual rare earths or produce mixed rare earth solutions or compounds. Rare earth producers follow similar principles and schemes when selecting specific solvent extraction routes. The use of cation exchangers, solvation extractants, and anion exchangers, for separating rare earths has been extensively studied. The choice of extractants and aqueous solutions is influenced by both cost considerations and requirements of technical performance. Commercially, D2EHPA, HEHEHP, Versatic 10, TBP, and Aliquat 336 have been widely used in rare earth solvent extraction processes. 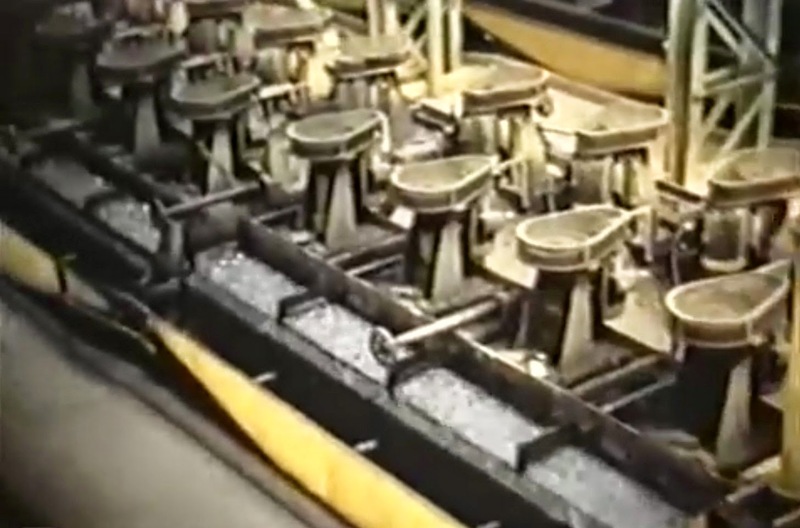 Up to hundreds of stages of mixers and settlers may be assembled together to achieve the necessary separations. It is a challenging process, and a paper by authors from Northeastern University, China, University of British Columbia, Canada, and University of California-Berkeley, USA, the most downloaded article in the past 3 months, reviews the chemistry of different solvent extractants and typical configurations for rare earth separations. Expect to see many more papers on rare earths in future journal articles and conference presentations.